Mixcloud Discover feature – The global community for audio culture. 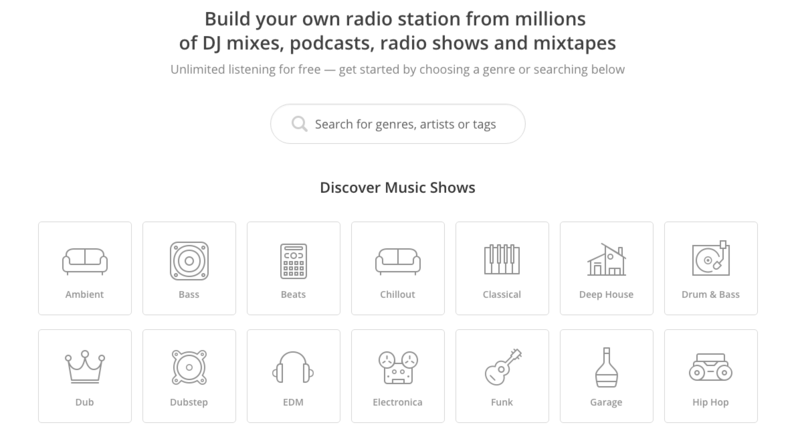 The new Mixcloud Discover feature has been created to make discovering new and brilliant radio shows and DJ mixes both easy and democratic. We say democratic because the simple search mechanism we’ve created will float up quality content regardless of the show creator’s overall popularity – it will be judged solely on what people are enjoying listening to. Select one or more of the tags, and the suggested content will change according to what you’ve selected. For example: Hip-Hop will bring up tags such as Soul, Funk, R&B, Jazz, and you also see location tags. As you scroll down, you’ll see the manually curated ‘staff picks’, which are selected by our in-house curation team. 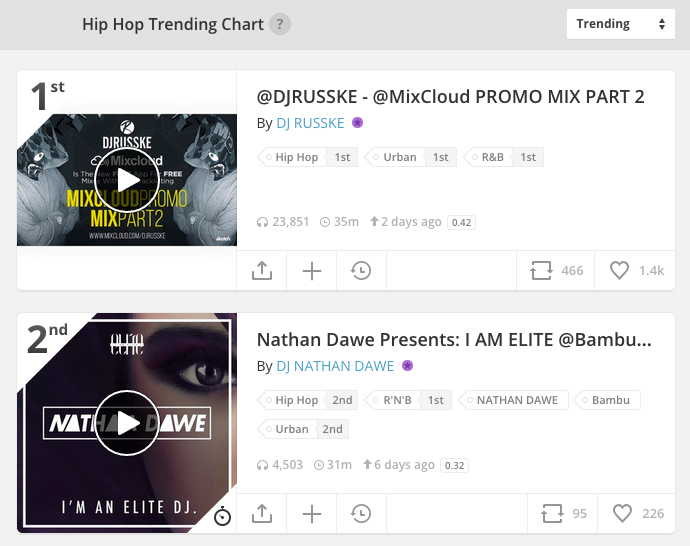 Scroll past the Staff Picks and you’ll see the current Hip-Hop charts, which you can sort by Latest, Popular, or Trending. The Mixcloud Discover feature is also integrated with both our iOS and Android apps, so you can also find great shows on the go!